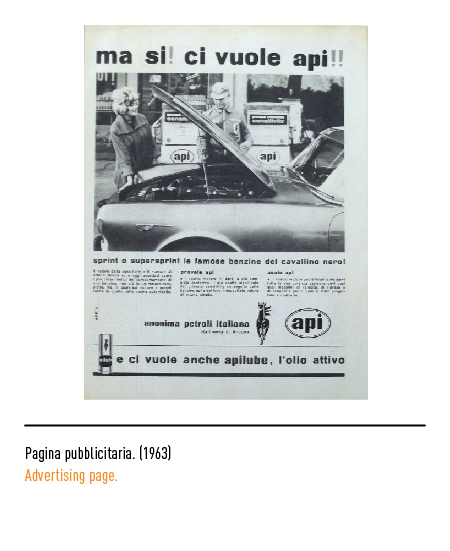 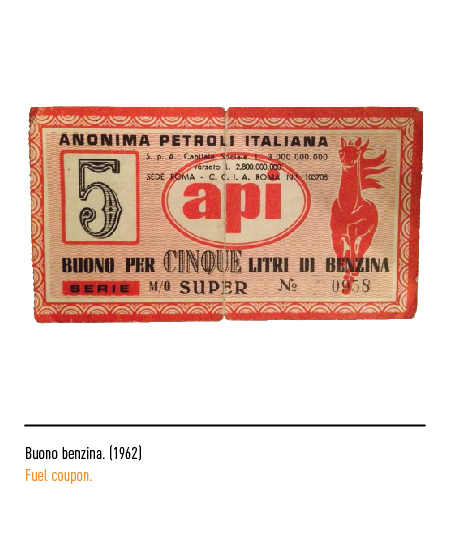 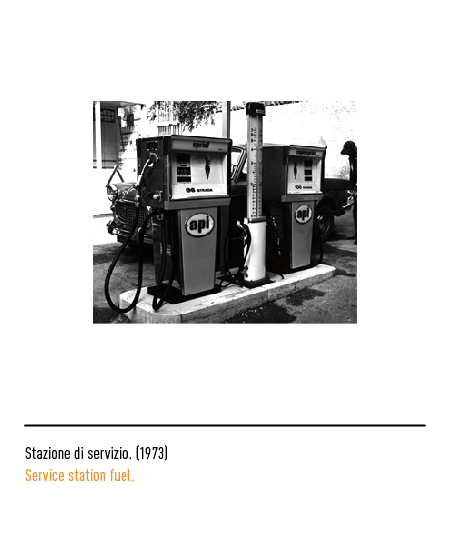 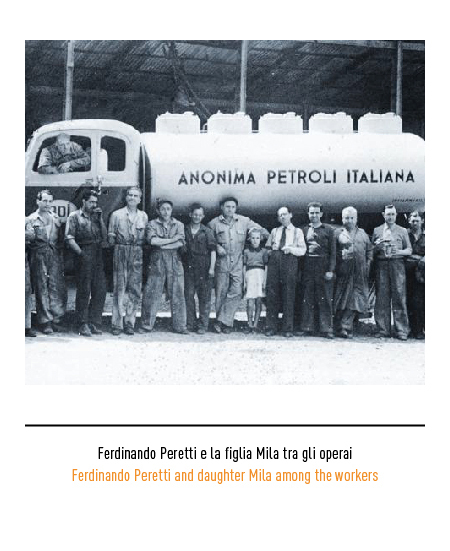 The AnonimaPetroliItaliana, usually referred to with the acronym “api” in miniscule, was founded in 1933 in Ancona by Ferdinando Peretti with the aim of commercializing and distributing oil products to supply the local market. 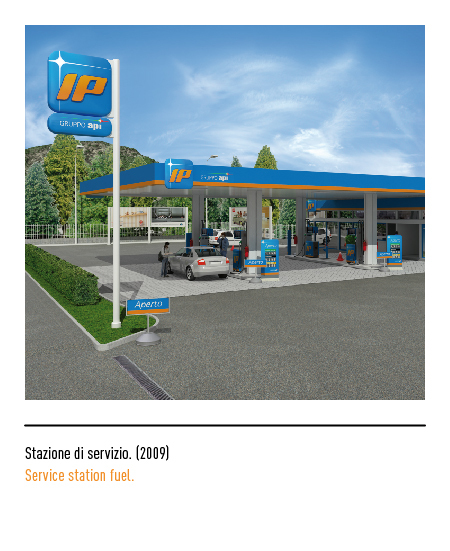 The company was not exclusively limited to oil products, but it also took interest in projects concerning the development of electricity from renewable sources and from the re-use of byproducts from non-renewable sources. 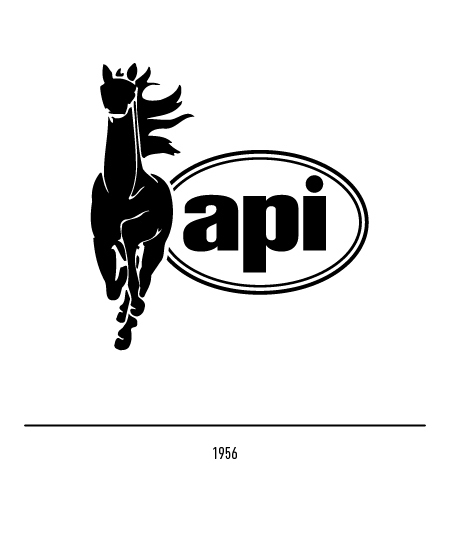 The firstlogo appeared in 1956, and it consisted of a black moving horse, a symbol of energy, with the logotype inscribed in an oval; in 1975 the two elements will be separated and the logotype inscribed in a rectangle with smoothed corners bearing the colors black, yellow and green. At the same time, the IP (ItalianaPetroli) was being founded in 1974 as the result of the acquisition of the Italian counterpart of Shell by Eni. 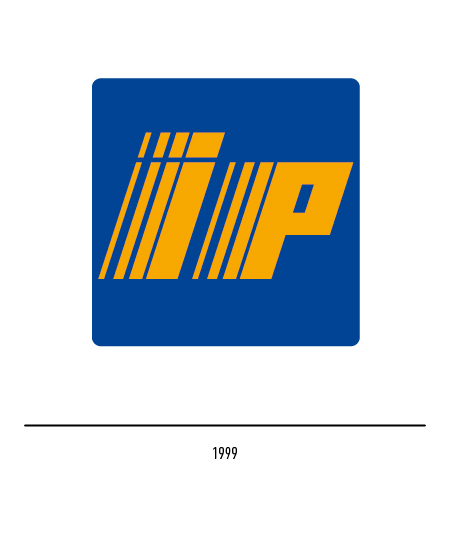 The San Francisco based company Walter Landor had been appointed with the task of creating a viable logo: their proposal consisted of the two letters in orange, inscribed in a blue square, which repeated progressively towards the right end of the square so to create the illusion of movement and energy. 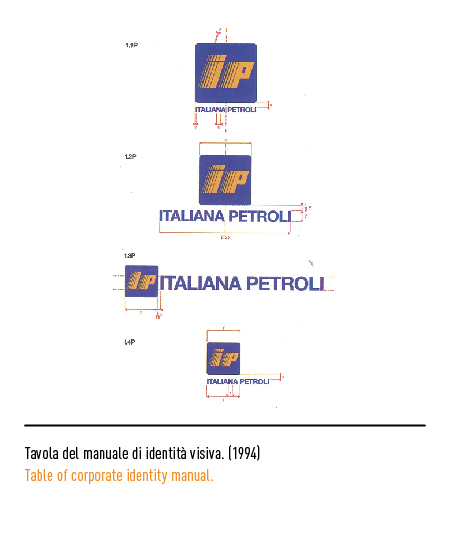 In 1985 Bob Noorda’s restyling standardized the logo, with a small editing to the skewing of the letters and the smoothing of the corners of the square. In 1994 another restyling was appointed to InoChisesi: it modified the structure of the letters so to allow higherdefinition in the smallest reductions. 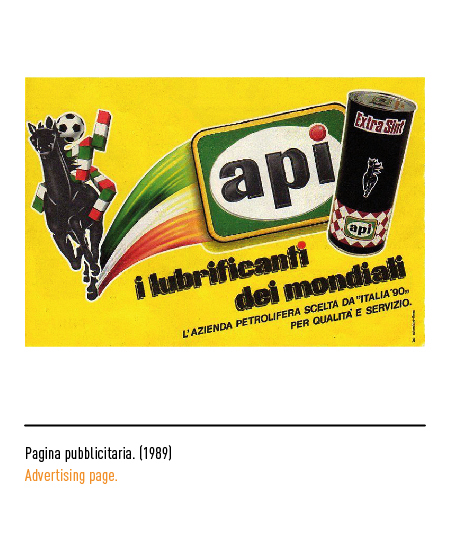 It was because of this issue that three different proposals were submitted: one bearing 5, one 4 and the last one 3 bars behind the letters; in 1999 the latter was chosen as the official logo and became the symbol of the affirmation in Italy of Api as the second largest supplier of oil products. 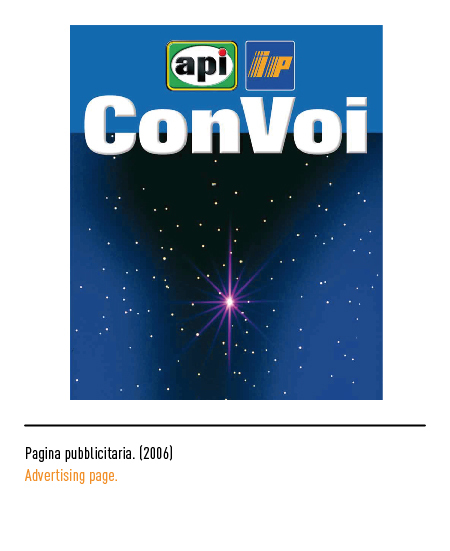 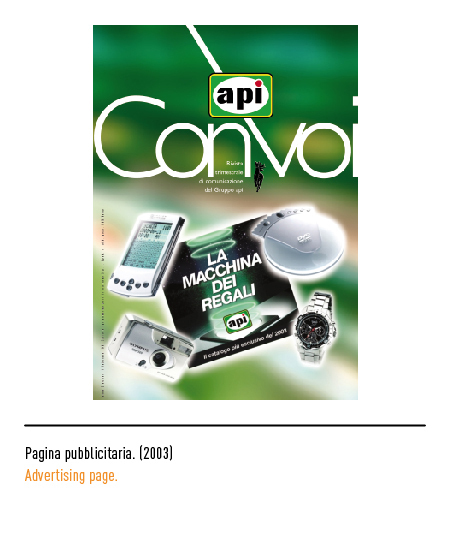 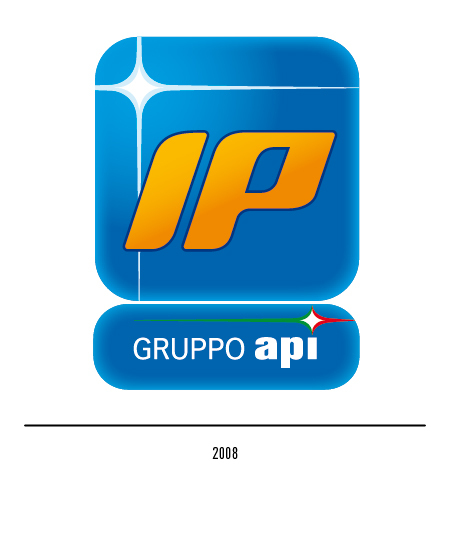 2005 signed the beginning of the acquisition of IP from Eni to Api, process which ended in 2007; during this period, the two logos appeared together in the communication. 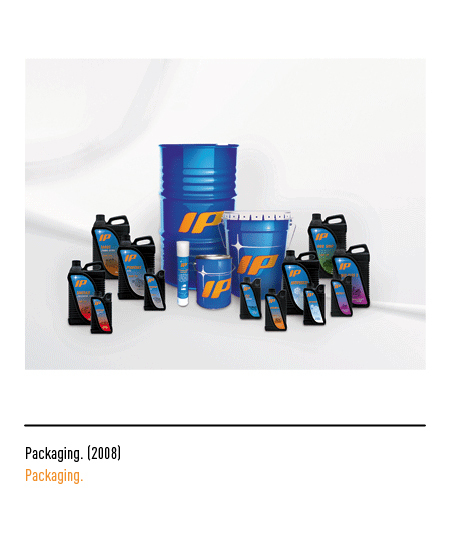 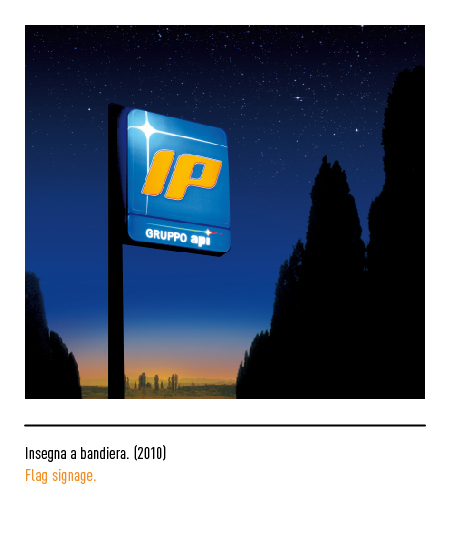 In 2008, it was decided that the two companies needed rebranding: this decision brought about a complete change in the way the company was represented, starting from the name, which was changed “IP GruppoApi”. 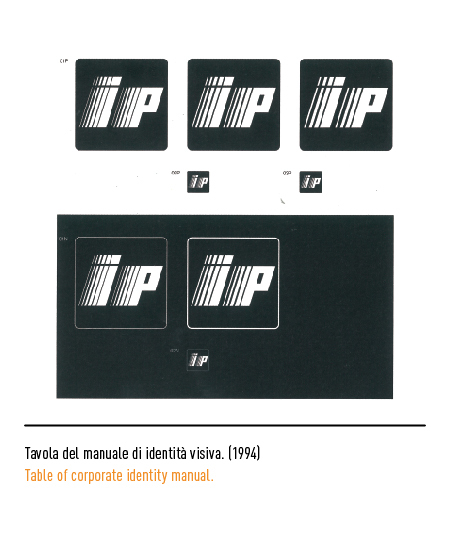 Market researchers showed that IP was perceived as innovation and dynamism, while Api represented the tradition and experience of the company: that is why it was decided, that “GruppoApi” would be used to define the company as enterprise, while IP would be used to define the commercial side of the company. 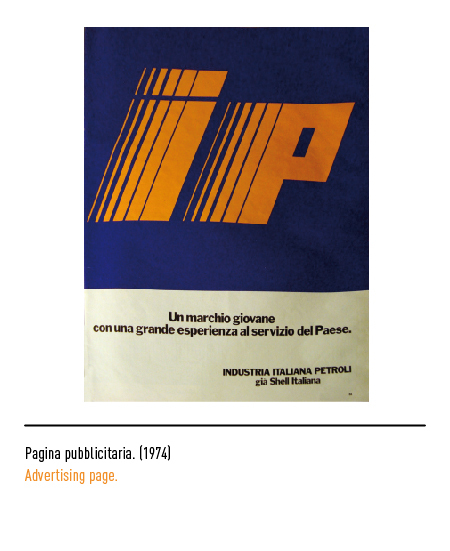 The creation of the defining logo for these two coexisting values was appointed to Landor agency; the idea on which the new logo is based, is that of the Italian character represented as a spark, triumphantly shining on the sky-like light blue background, like a star enlightening the path towards the future. 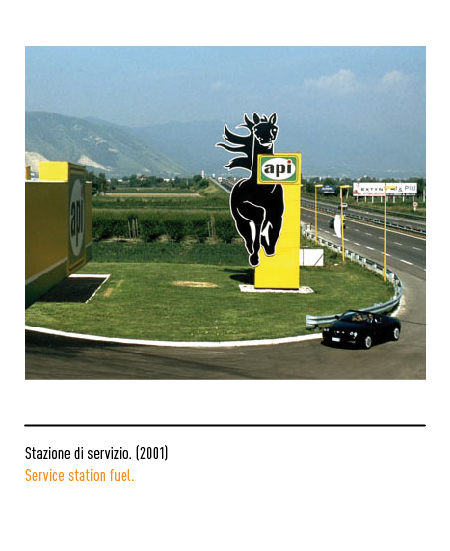 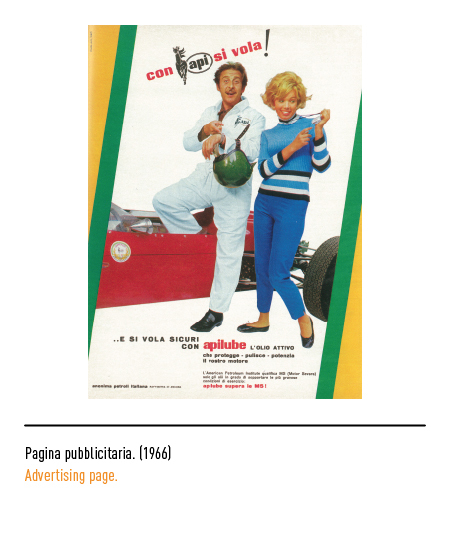 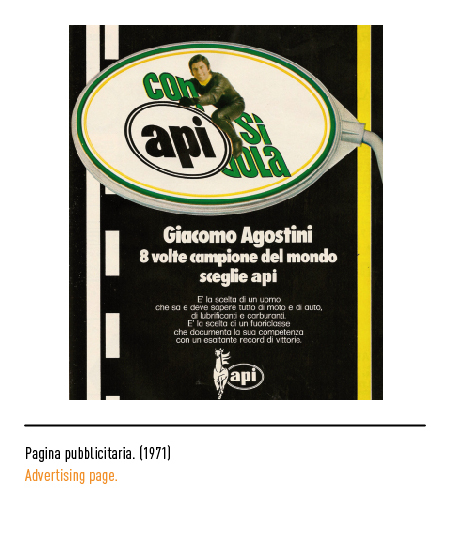 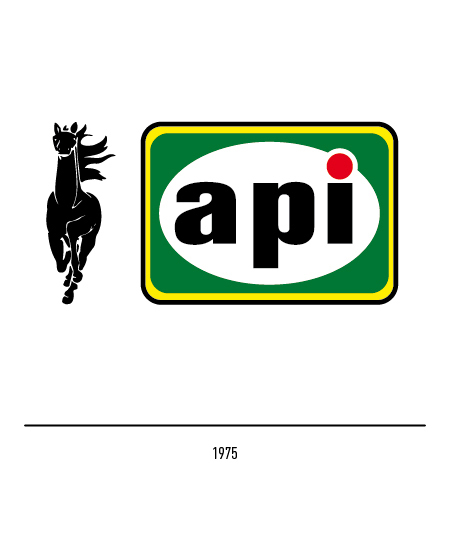 The new logo kept the IP colors, being more distant from the ones used by their competitors; the yellow and black of the Api petrol stations caused them to be mistaken for AGIP stations, the first biggest petrol distributor in Italy. 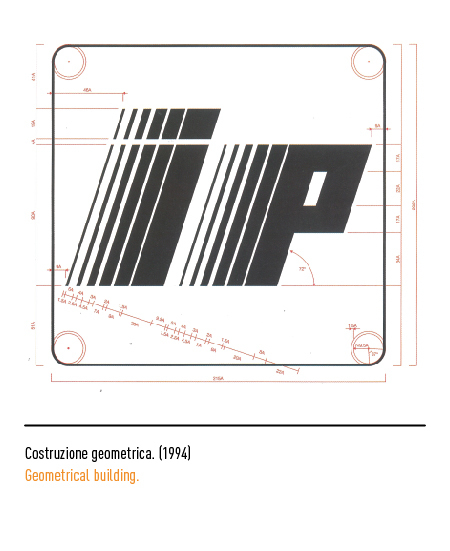 The logotype is confirmed, orange letters skewed to the right with smooth contours. 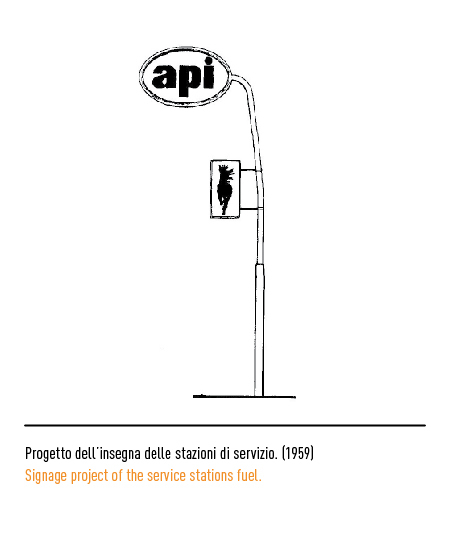 Carlo Boccioni, Un marchio per tutte le stagioni, in Grafica & Disegno, n. 13, 9/10 1994, Ikon Editrice, Milano.